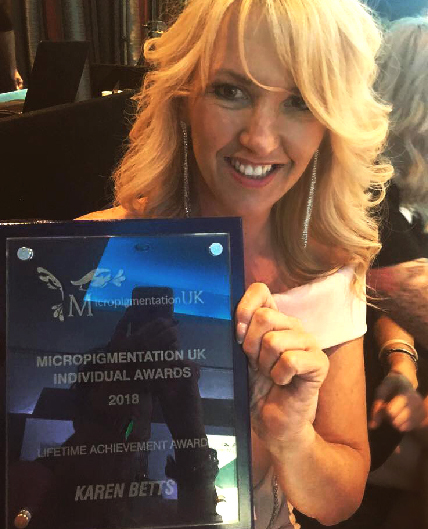 Karen Betts was awarded the coveted award at the Micropigmentation UK award evening 19th May 2018. ‘This person’s contribution to the UK’s micropigmentation industry is second to none’ announced Sonia Anderson whilst presenting Karen’s story. Karen’s brand K.B Pro also won Best Website and Best Pigment range for the third year running!